In Peter Pan, the fairy Tinkerbell lay dying. Only the three Darling children’s faith could save her. As the children chanted “I believe,” over and over again, Tinkerbell’s light grew stronger and stronger. Without the faith of the children, Tinkerbell was doomed. Likewise, it seems as if much of the modern church is convinced that God needs them as much as they need God. Jesus, standing at the hearts of disinterested men, is banging on the door, as if He were homeless and needed a place to stay. Jesus, desperate for love and affection, starved for recognition and affirmation of His divinity, waits expectantly at the door of the unsaved, hoping against hope that it will open, so He can come in and curl up in front of the fireplace, safe from the lonely wilderness that lies outside the hearts of ordinary men. 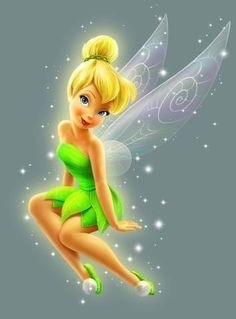 Of course, Jesus is not Tinkerbell. He does not need your faith to live. Eternal, He spreads forth the heavens like a curtain and named every one of the trillions upon trillions of stars. He holds the universe in the span of His hand and lives outside of time.